The story of Marvin Gaye's life will be remade on the big screen by a big rap star. 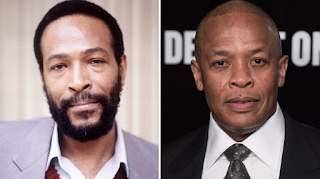 According to Variety, Dr. Dre is developing a movie about Marvin Gaye and Dr. Dre has already secured the rights to Gaye's music by Sony/ATV Music Publishing. F. Gary Gray, Cameron Crowe, James Gandolfini, Scott Rudin, Jamie Foxx, Jesse L. Martin and Lenny Kravitz all failed at getting the family's blessing for a biopic. Dr. Dre is no stranger to films like Training Day, Car Wash, and of course N.W.A's "Straight Outta Compton" biopic.